I like to drive what my colleague Dixie Good calls the Mosey Road. The roads or streets with less traffic and less anxiety. I look for roads with good flow. I don’t need to go 75, or even 55; just cruising is fine, often better, so long as I don’t have to stop frequently. Typically these roads are framed by interesting scenery — neighborhoods; open spaces; industrial zones… Aside from the pure pleasure of the easy ride, gazing at the world as it rolls by, the Mosey Road frequently rewards me with Big Thoughts. Mulling mostly — ideas, reflections on things done, anticipation of things to do. Ruminations. Occasionally a burst of insight — though often my insights are essentially Revelations of the Obvious. What does this have to do with 21st century learning? I’m getting there. Today, driving the Mosey Road back to Denver from an appointment in Boulder, I meditated at some length on contour and texture. Driving south out of Boulder, you can follow State Highway 93, a two-lane road that winds through open foothills that flank the first uplift of the Front Range. Beautiful drive, though thick with cars and impatient drivers hurrying between Boulder and Golden. 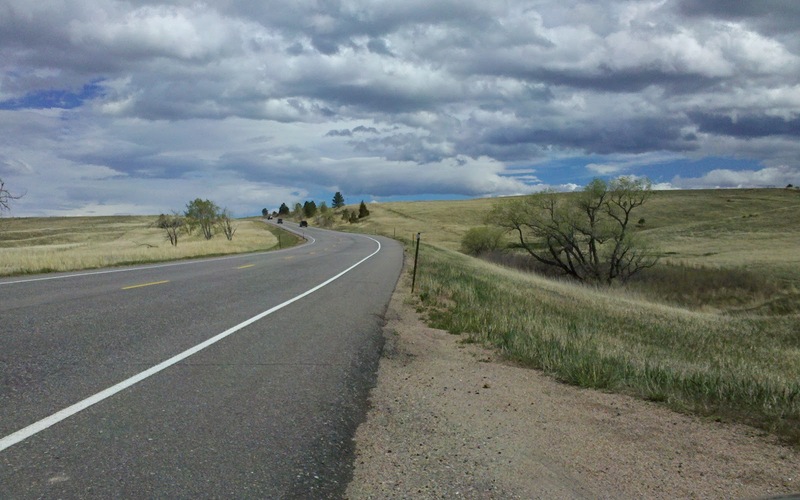 Three or four miles south of Boulder, you turn east onto State Highway 128, also two lanes and much less traveled. (Note the literary reference.) 128 traverses a large, long, moraine-like finger that points out from the foothills into the wide valley surrounding Denver, gesturing to the wide prairie beyond. The road winds through 6-7 miles of open, grass-covered hills, making wide, luxurious curves, climbing up to a ridgeline, then swooping down into valleys to cross from one ridgeline to another. Beautiful. Not just visually pleasing. There’s some rhythm, some internal resonance. The drive and the countryside give one — give this one at least — a sense of joy and contentment. I feel good just being there. My primary theory, at least today, for why I always get this upwelling of joy is that it’s a combination of the contour of the hills, the gentle wind of the road, and the texture of the grasses and shrubs, the occasional tree, the boulders poking up through the soil. Something primordial in me is touched by this irregular geometry — by this lay of the land. It feels like home. It feels right.The same rich feeling comes to me in the mountains, along streams and rivers, in the rolling prairie, beside the ocean. I think it comes through the compelling allure, for humans, of uneven, unpredictably organized, asymmetric, unfurling landscape. And not just visual landscapes. It happens as well in what we like to hear, how we like to think, the way our feelings and our lives go. Chaotic patterns that fascinate and comfort us, that keep us in flow. And now I’m getting closer to the point about 21st century learning. It’s a fascinating irony that, as a species, we seem compelled to impose order on the very chaos that, intrinsically, we love. It’s as though we fear the tumbling flight we love to take. We must tame it. So, we make things straight. We trim the rough edges. We build. We describe. We instruct. We use. We tame. We make rules. We punish. As teachers, we think that the best thing we can do for learners is to package our knowledge and give it to them. OmiGAWD, we think, getting that knowledge was SUCH hard work… for us. But we will make it easier for you! We’ll provide you with the all information you need, neatly packaged, so you can get it right away. I struggled with math, but here, use these formulas in those particular ways, and you’ll do just fine! It took me 40 years to learn how to write essays, and I’m STILL trying to figure it out. But here, follow these principles and apply those rules of style and language, and you will be a competent writer. Oh, and by the way, if while you’re trying to learn, you mess up… I really want to help. But that work you just did… That’s a C. I don’t mean, not at all, that all learning should be free-form, open discovery. Yea, Structure! Yea, Guidance! Yea, COACHing!! I’m a big fan. I’m just contemplating, as I mosey along, the fascinating ambivalence we have about the compelling, heart-opening beauty of contour and texture and our simultaneous need to bring everything under control and put it all in order.